When I was in Osaka for trip, “Enjoy Eco Card” was really useful. “Enjoy Eco Card” is sell by Osaka Municipal Transportation Bureau. 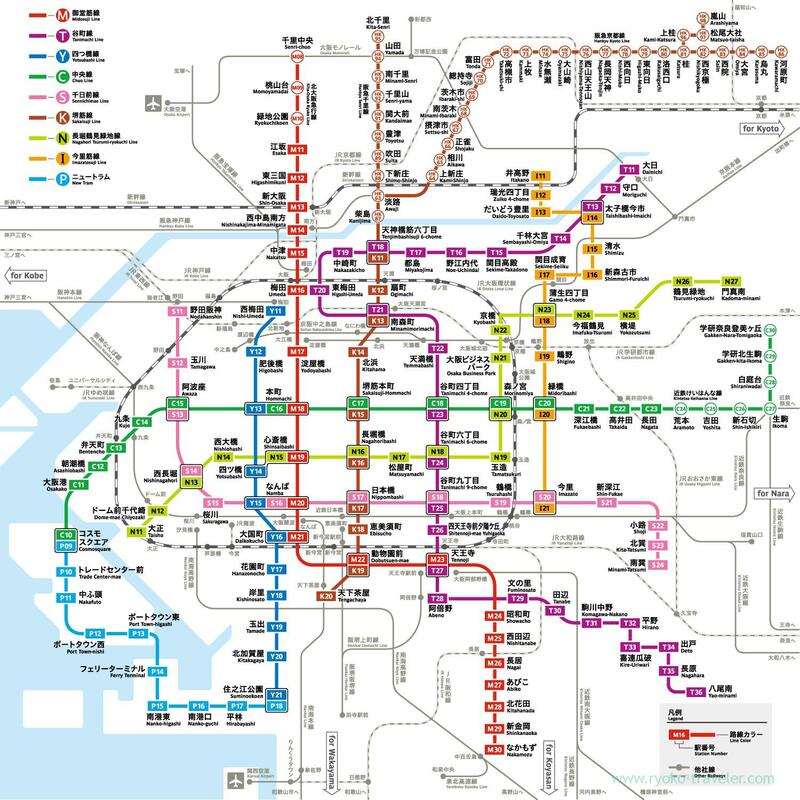 You can use Osaka Municipal Subway, municipal bus and new tram as you want all day. It cost us 800 yen on weekdays. 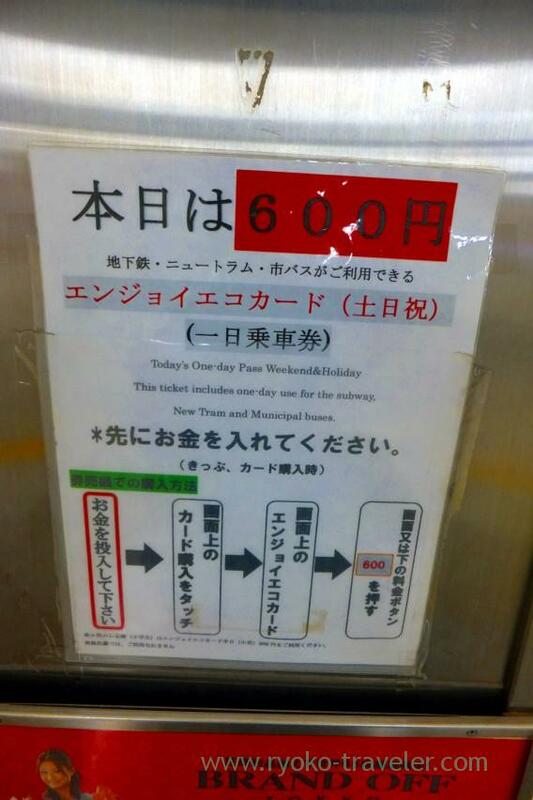 And on weekends and another national holidays, it cost us only 600 yen ! 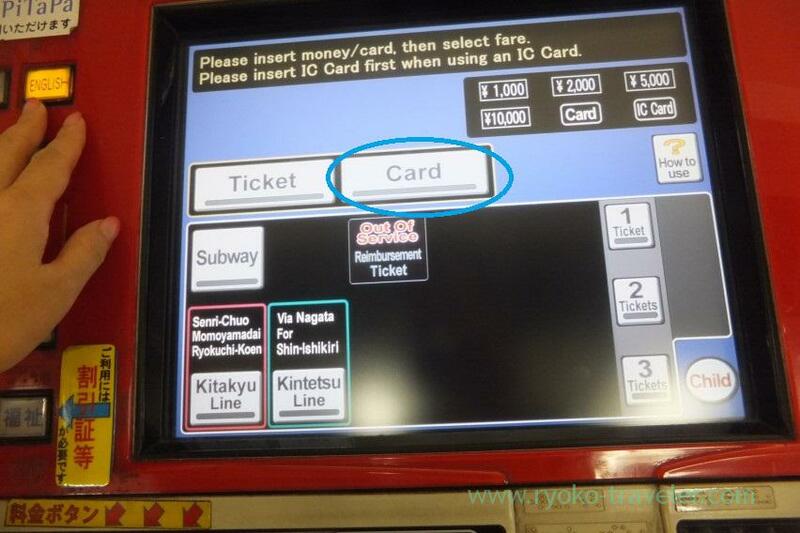 You can buy the ticket at the ticket vending machine in each subway stations. 2.Touch “Card” on the screen. 3.Touch “One-Day Pass” or “One-Day Pass Weekends & Holiday”. 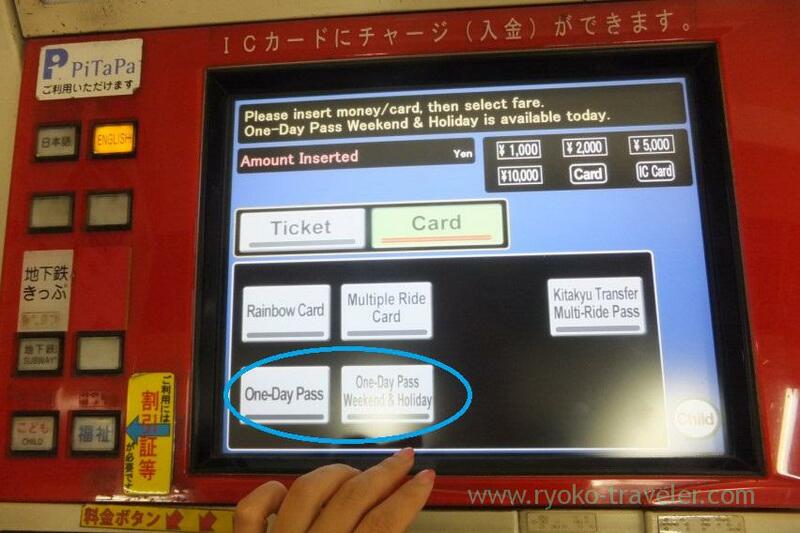 If you want to use it on weekdays, press “One-Day Pass” and another, press “One-Day Pass Weekends & Holidays”. You can buy this card as you want in advance. Once you go through the ticket barrier with the card, available date is punched in. Enjoy eco card is available within Osaka municipal subway only. 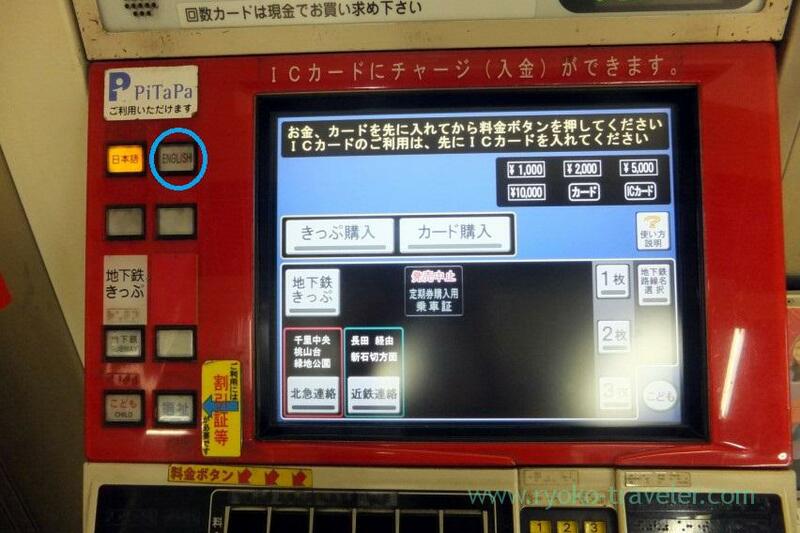 If you want to go to further station, you need to adjust the fare when you get out of the station. For example, if you want to go to The Expo Commemoration Park (Banpaku Kinen Koen) from Namba by Midosuji line, You need to get off at Senri-Chuo station, but Enjoy eco card is available till Esaka station. So, you need to pay between Esaka and Senri-Chuo (150 yen) because between Esaka and Senri-chuo is Kita-Osaka Kyuko railway. Fare in Japan is expensive. Thanks, Ryoko, for the information! 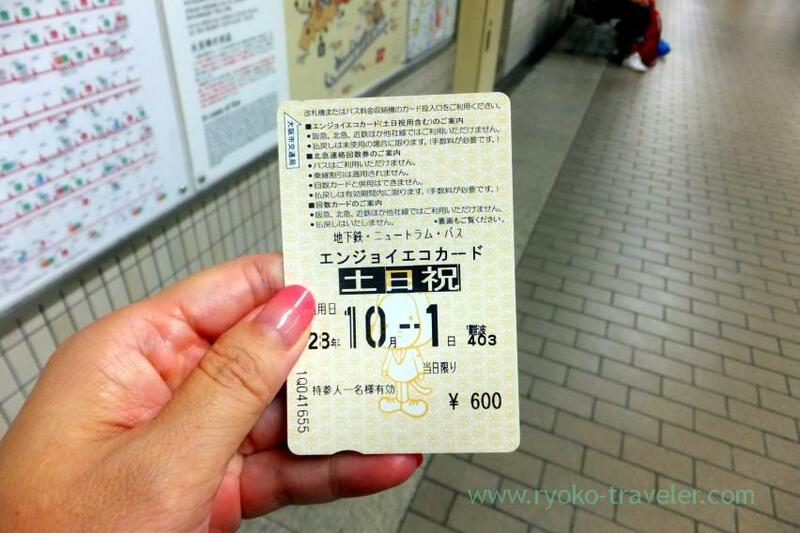 I plan on visiting Osaka during the last week of September to early October, so this one-day pass is very useful. I’m afraid you can’t use Enjoy Eco Card for Universal Walk.